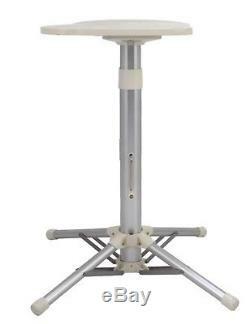 Professional 101HD Heavy Duty Steam Ironing Press 101cm with Stand - Silver. 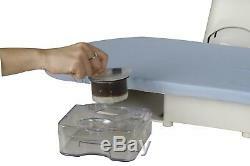 + FREE Iron Attachment, Anti-Scale Water Filter, Replacement Cover & Foam Underfelt. Just arrived: New range of silver/black ironing presses. Suitable for Guesthouses, Hotels, Nursing Homes and Large Households etc. Temperature Range: 60°c - 220°c. 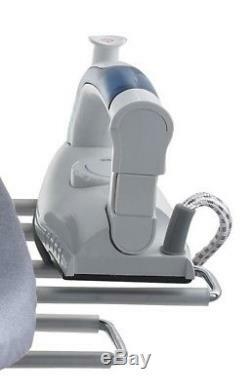 30 times the size of a regular iron! Plate size: 40 / 101cm x 30cm. Fast heating time of 2.5 minutes. Built for long-term heavy use. Largest press = quickest ironing time! Can be used with our without the supplied stand. 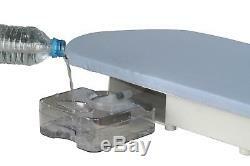 Can be used as a total dry press or with automatic steam. When pressing down, it's equivalent to 46kg of pressure (or 23g per cubic metre). Steam function: Powerful steam output of 90g per minute, and a booster steam output of 120g per minute, without any water dripping. Easy to carry and store. Temperature range from 60°c - 220°c. Heating Tube / Elements: Even distribution of heat. Intensive pressure to fix heating tube in order. The heating tube stays straight after long-term heating. Opening Angle: A huge opening angle means there is ample space for bulky fabrics and large items like double sheets etc. It also helps prevent the user from getting hurt whilst operating it. Safety: Automatic cut-off after 15 seconds in a closed position. Automatic cut-off after sitting idle for 15 minutes. Overheat protection inside the machine. Handle: Very large strong handle with extra thickness to make operation more comfortable and smooth. Water Tank & Anti-Scale Water Filter: Water tank has a massive capacity of 800ml. Unique anti-scale filter to extend lifetime of machine and steam function. 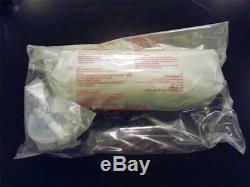 Very easy to replace water filter cartridge. The tank can be taken out completely for easy refill. The tank can be filled whilst ironing. Water tank indicator shows clear water level. 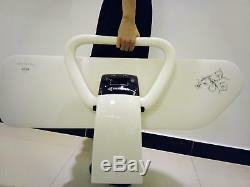 Superior Ironing Board: Shape and size is ideal for all the family's laundry. Press down into the padding of the board. User Friendly Controls: Clear and simple pressure and temperature selector controls for ease of use. Low Power Use: Our presses use very little energy, about the same as a normal iron, thanks to its special heating plate. This press now includes a FREE iron attachment (see pictures), as well as a FREE Anti-Scale Water Filter Cartridge, Replacement Cover & Replacement Foam Underfelt. 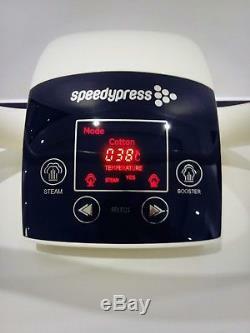 Speedypress, based in the UK, has been importing and manufacturing ironing equipment for over 40 years. Pictures of the white 100HD press are for illustration purposes only. Inside the PCB: All of our PCBs are made by a precision machine with constant welding and craftmanship for stable performance. All of our PCBs have a voltage transformer to protect the circuit. 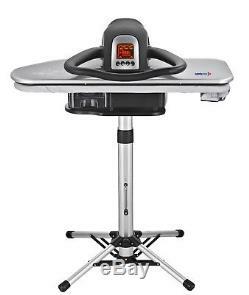 The item "Professional 101HD Heavy Duty Steam Iron Press 101cm + Stand, Silver (& Iron ++)" is in sale since Wednesday, February 7, 2018. 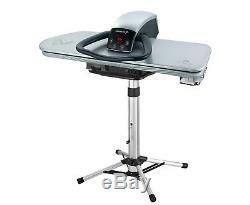 This item is in the category "Home, Furniture & DIY\Appliances\Ironing & Vacuuming\Irons". 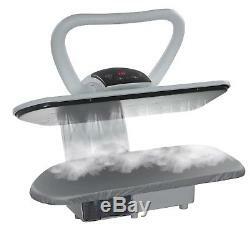 The seller is "ironingpress" and is located in London, London. This item can be shipped worldwide.